I’ve never found joy in tidying up. But, Ivy has been raving about Marie Kondo’s The Life-Changing Magic Of Tidying Up so much that I figured I’d give it a go. I’m a changed person now. Don’t believe me? Ask my husband who, after many years, finally has (almost) as much space as me in our wardrobe. What’s this got to do with food? In the course of tidying, I had to part with many things which I had accumulated over the years. A lot of it were collectibles, momentos, etc which I’d either bought while on holiday or were given to me as presents. Presents are tricky – unless you know a person really well and know what they will use, you may end up buying gifts that people never use. In view of that, I’ve decided to give edible gifts to friends and family. This yearend. 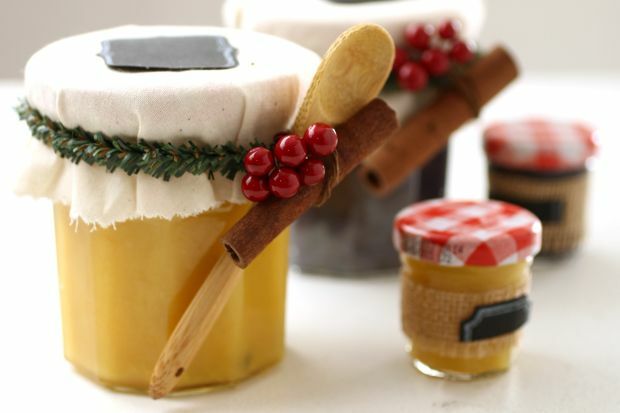 everyone is getting fruit curd which can be used as a spread, filling for tarts or to flavour cakes. And they require just a few ingredients, very little time and hardly any cooking. Though citrus fruits are generally used for making fruit curd, I’ve made a passionfruit curd for this column which is so yummy. This recipe is from the Don’t Call Me Chef column in Star 2. On medium heat, whisk the ingredients together until the butter melts. Lower the heat and cook, stirring constantly to ensure that the eggs don’t curdle. Cook until the mixture is like custard, about 15 minutes. The test that cooks often use is to run a spoon through and if the curd can coat the back of a spoon without dripping off, it’s ready! Keep refrigerated. It can be kept for up to two weeks. I would appreciate if there’s a recipe for lemon curd. Love it very much. Thank you.